The Federal Communications Commission’s voted 3 to 2 to repeal net neutrality, the Obama-era government regulations that guaranteed all websites on the internet get treated equally by service providers. Here are four ways Rhode Island can respond. 2. 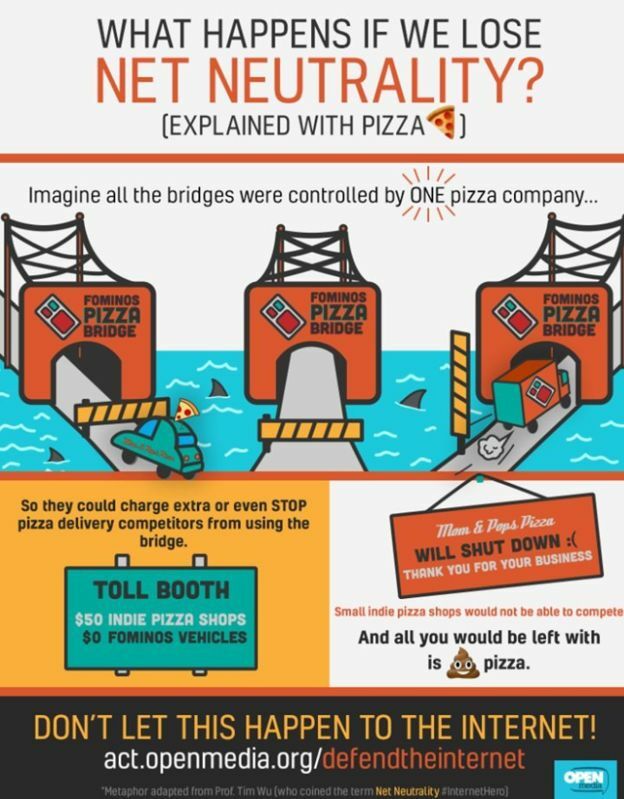 Join with other states to enforce net neutrality at the local level. The problem with this option is the Republican-controlled FCC added a provision preventing states from enforcing net neutrality on their own. (Whatever happened to states’ rights, GOP?) But states may well try, none-the-less. Washington Governor Jay Inslee said prior to the FCC decision his state would enforce net neutrality on its own, according to the Spokesman Review, a Washington daily newspaper, the day before the vote last week. “This is a free-speech issue as well as a business development issue,” Inslee said. New York Governor Andrew Cuomo tweeted, “New York will take all necessary steps to protect #NetNeutrality.” That would seem to include regulating service providers. I’m not sure if Rhode Island Governor Gina Raimondo has commented about net neutrality. I requested a comment from two of her spokespeople and have not heard back from them yet (I reached out to them yesterday afternoon). Very soon after the FCC decision was announced, Millenial Rhode Island, a group of young people who advocate against the so-called brain drain, called on local elected officials to “to pursue regulatory and legislative action that promotes net neutrality.” View image on Twitter. 3. Become the first state to offer every resident a publicly-managed, non-profit internet service provider. Because of our small size, Rhode Island could do this easier than any other state. If we don’t want to at the state-level, Providence and other local cities should give careful consideration to this option. (This reporter once lived in Ashland, Oregon, which has municipal broadband service. People liked it just fine and felt it kept corporate price gouging in check). 4. Lobby Congress to overturn the FCC decision. Thanks to the Congressional Review Act, and Massachusetts Senator Ed Markey, it seems that Congress will get to weigh in on the FCC’s decision to repeal net neutrality. “Congress can overturn agency actions by invoking the Congressional Review Act (CRA), as it did earlier this year in order to eliminate consumer broadband privacy protections,” according to arstechnica, a tech blog.